This will be a short one so I can have time to catch up on things in town and also do some logistics for the next couple legs. It rained on and off through the night and we both stayed dry and got plenty of sleep. We got motivated to pack up as rain fell and it amazingly cleared as we left our tents! 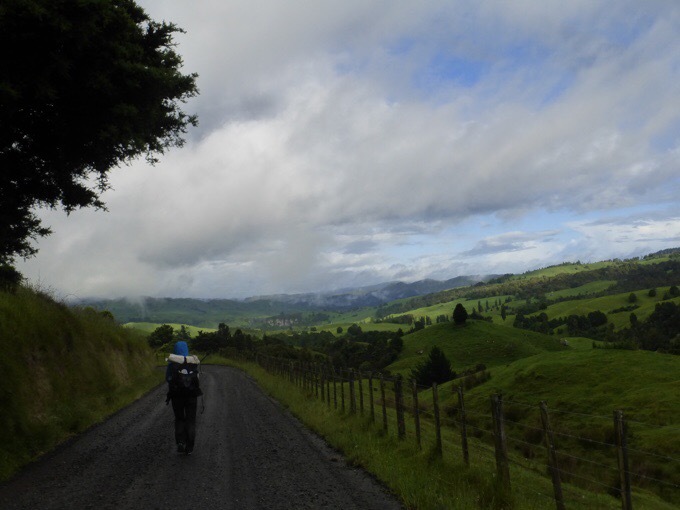 It was a gravel and then paved 19mi/31km walk through mostly farmland to get to the town of Taumarunui. We had a nice relaxed time walking in and keeping each other company to avoid boredom. It was actually quite scenic and we enjoyed it. The clouds came and went and there was a slight chill in the air. There were short periods of rain (some quite hard), but then sun immediately came out and dried us. 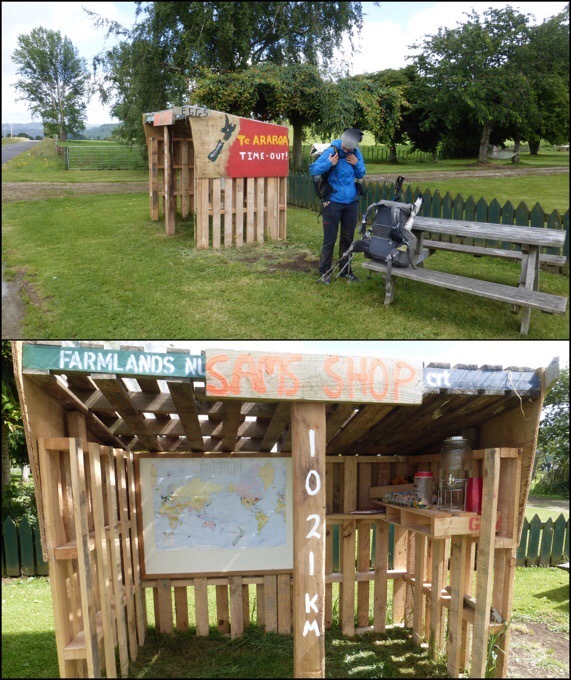 Along the way, we came along a residence where a boy named Sam has Sam’s Shop. He sells eggs there and the money he makes goes to candy for TA hikers. There is a picnic table and water and it’s a perfect spot to rest. 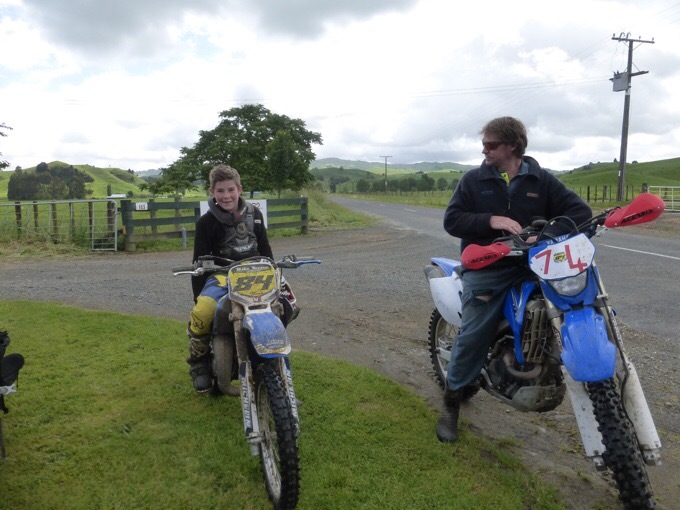 While we were there, 12yr old Sam rode up on his dirt bike with his dad Luke and they invited us back for tea and cookies. Great timing! After that, it was a couple hours to town and McDonalds. Many of the other hikers we’ve been around had hitched to town or taken alternates and were at the McDonalds and later a group of around 20 at the Holiday Park. I did a poor job of taking photos once we hit town as there was a lot to do. 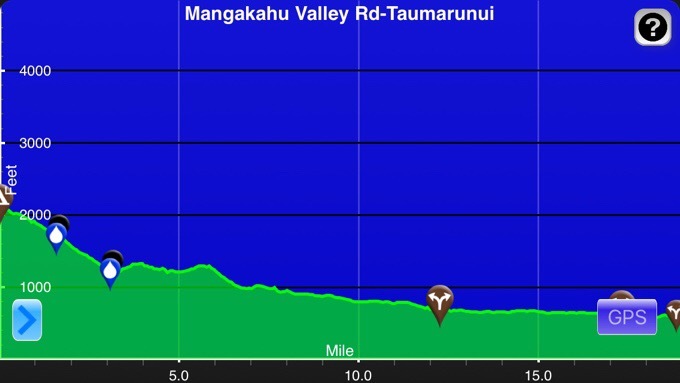 The short of what’s happening is that weather is looking very poor (very cold, rainy, and gale force winds) to do the Tongariro Crossing and the side trip we’d like to do to summit Mt Doom. Four TA hikers had to be rescued yesterday trying to push through in bad weather. It’s just a 17mi/28km stretch we can do in a day, and since it’s a major tourist destination, there is a busy road going from one end to the other. We will walk out tomorrow, and head that way in the hopes that it clears in a few days, but if it doesn’t, we don’t want to miss our one chance to do this right on a nice day. It looks like we can hitch around it (this road hitching thing on the TA is finally coming in handy!) 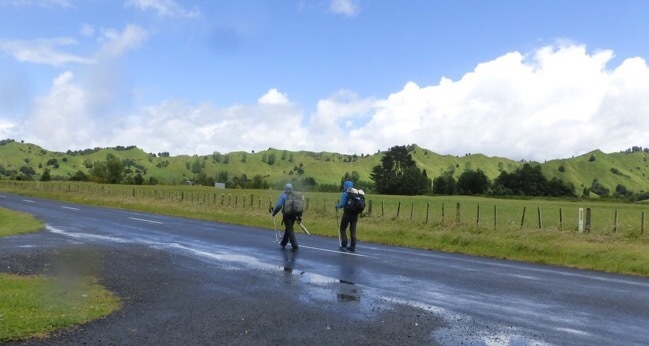 and continue on doing the road walking of the TA after the Crossing for a couple days. Then, once this front passes, we can easily hitch back and do the 17mi/28km in good weather. We won’t be missing any of the TA, but it is a shuffle. We could sit it out and wait 3-4 days to do it straight through and then realized we could just knock out the road walking miles while we waited instead. Yes, it would be doable in the weather that’s coming, but it’s not the safest and certainly not enjoyable. Maybe weather will magically shift and we won’t need to skip and come back. We probably could not safely do or see Mt Doom, and we may not get to see anything along the Crossing. We hope this gives us the option to really do the once in a lifetime kind of trip over the Crossing the way it should be experienced. In addition to all this are the logistics of the 4-5 day canoe section that comes not long after the Crossing. Still finalizing all that and coordinating a group of 6-8 that will chip in to make the canoe rental cheaper. I am excited about both these legs, but the planning aspect and all the moving parts (we need to work around upcoming Xmas and other hiker’s itineraries) wears me out ten times more than hiking. Alrighty, that’s it for now! 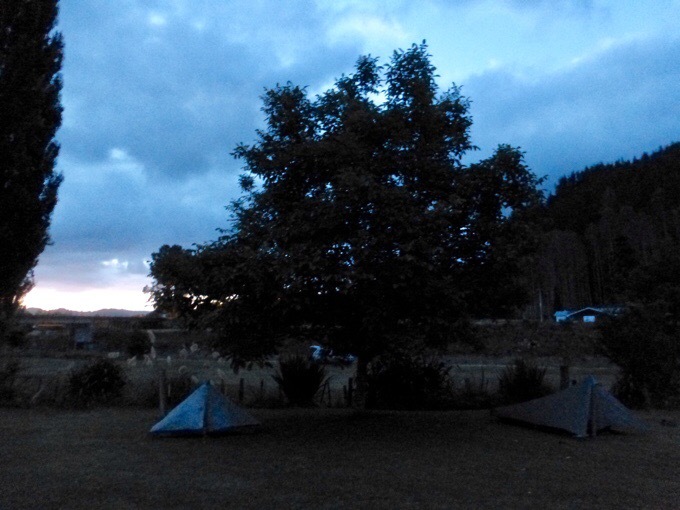 Camp spot at the Taumarunui Holiday Park. Side note, I see all your comments and support, and even if I don’t reply, know they are read and greatly appreciated. I know you all can appreciate the time it takes to hike and blog and know that if I miss an email or don’t respond, it’s not intentional:) I wanted to do a special birthday photo for my friend Paula who will be reading this on her birthday, but it didn’t come together, so I hope this works. 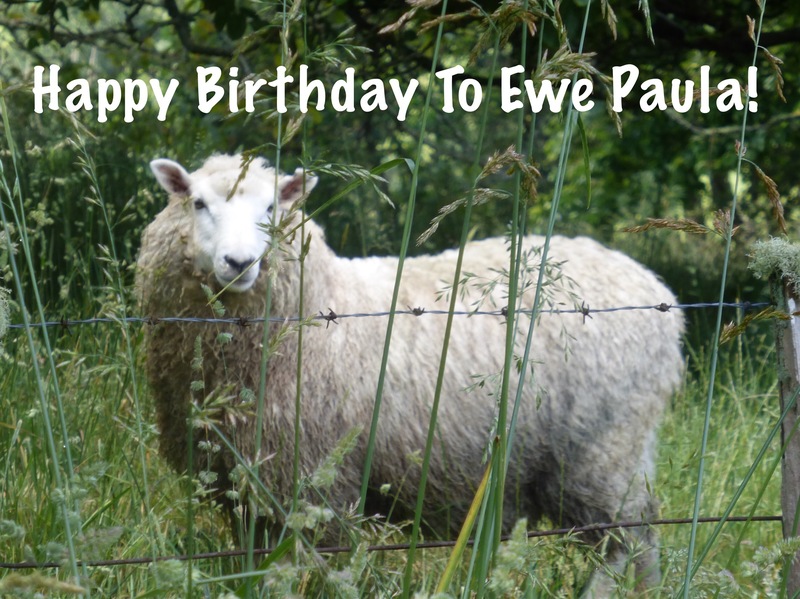 HAPPY BIRTHDAY PAULA! 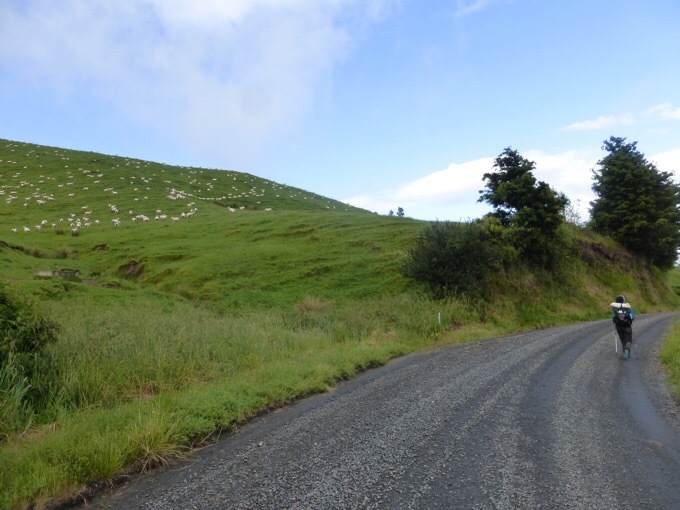 Why not just skip the road sections? What are you trying to prove? Most people are sensible and do the safe thing and hitch. As someone who has walked a ton of miles, if you have to ask then you don’t get it. Plus your tone is kind of mean and judgmental. Yep…not someone who gets what it’s like to experience a full country from one end to the other. As someone who has not hiked a ton of miles, I get it! And I get why you wouldn’t reply to every comment. I certainly appreciate the time and care you take blogging and uploading pictures. Maybe because Wired and Becky want to thru-hike it? Maybe they want to prove (not that they need to prove anything) they can thru-hike TA without cheating? Never thought hitching is the safe thing, especially for women. Uh…cuz they want to do it their way. These are roads with hardly any cars at all. Not highways. They are like wide trails and it’s beautiful. It’s not proving anything, it’s the experience of walking a full country and not sightseeing and cherry picking. If I wanted to skip around I would just do the tourist thing. 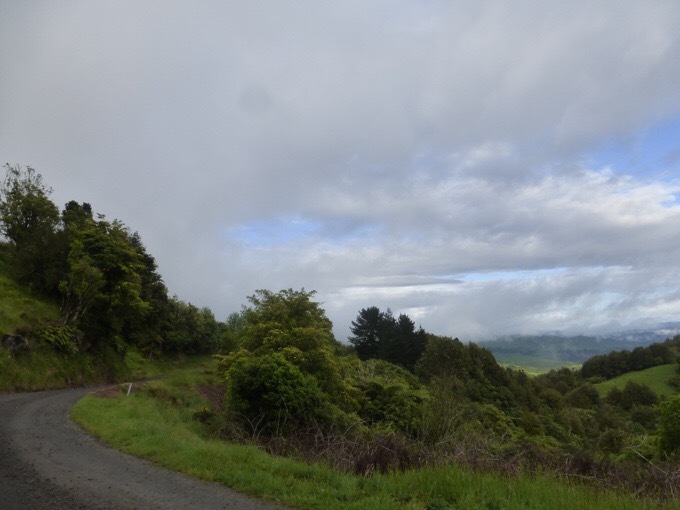 It’s a slippery slope…one day you’re skipping road sections, the next day you’re skipping difficult muddy sections and before you know it you’ve turned a thru hike into a hitch hike. Hitch hiking is a great way to travel too, but a very different experience. Yes, just different and not what we’re looking for and many others we’ve found are near us doing all the roads as well, so that’s been nice. How is walking unsafe? Think, before you post crap! Jerry W. Who is posting crap? Apparently only others, not you! Did someone say walking is dangerous? I thought he/she said he had always thought hitching was dangerous, especially for a woman. You should think before you post, young lad. I was replying to someone called “Natt” who wrote: “Most people are sensible and do the safe thing and hitch.” In the present context that could hardly be more wrong .. Yes, I think Jerry wasn’t intending that for you and it was just misread. Hope it all works out, beautiful emerald green countryside, due to all that rain, no doubt! Just be careful on the road walk, walk against traffic if possible, wear bright clothing if dark cloudy/rainy and try not to listen to music etc with ear buds since it will cut out oncoming traffic noise if a car or truck gets too close. Good luck with everything. The TA is a very unique “trail”! Good on you for hiking your own hike. Looks like a “perfect” plan to me! I’m still following you along and enjoying every step ! It’s nice to know you and Becky are still plodding along together . Stay safe .Thanks for the time you are taking to post so “armchair ” hikers like me can walk beside you . OMG the planning for the canoe section nearly gave me a panic attack! But, turning in our backpacks and poles for paddles and boats was worth it for a creative trail deviation. Hope a weather window opens for you to do the crossing! So did you ride on the dirt bikes!? To hitch & skip or not to hitch? 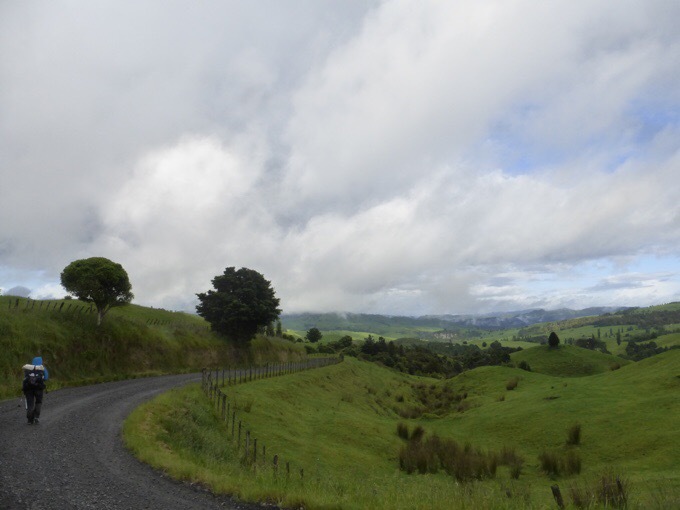 Remind me why I fled Auckland & the North Island many years ago with not a regret…? Just thought I would sneak a peek at what you’ve been up to since hiking the Larapinta Trail a few months ago, looks like you are being optimistic & positive about this journey. The South Island is a genuine treasure though, completely different. Have an audacious time whilst walking Ms Wired! Ah! Safari! Great to hear from you. I’m now happy having shifted my thought from less of a hike to more of an experience and vacation. Having Becky along helps a ton! Thank your Erin for the birthday wishes! I had a houseful, 14 gingerbread houses were decorated! Fun but tiring! Miss you! WYOW – Walk your own walk. Ignore all other’s silly questions. Lovely green scene. Enjoy and hope that the weather bypasses you and you can do your canoe trip Crossing in nice safe conditions. Oh hi John! It’s been awhile!